Try three of our most popular recipes. 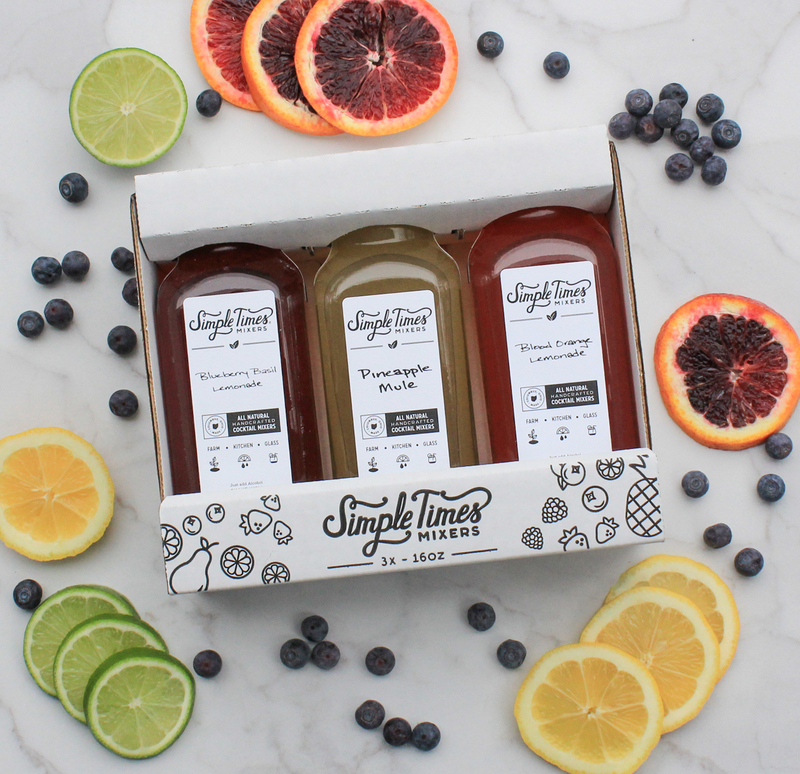 Includes 16oz bottles of our Pineapple Mule, Blueberry Basil Lemonade and Blood Orange Lemonade. Enjoy a total of 15 cocktails per box set.